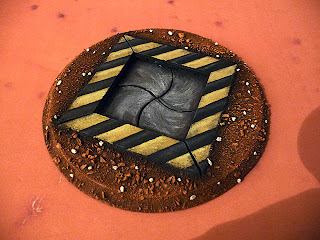 Confessions of a 40k addict: Terrain is everything - Hail the Omnissiah a new STC is found! 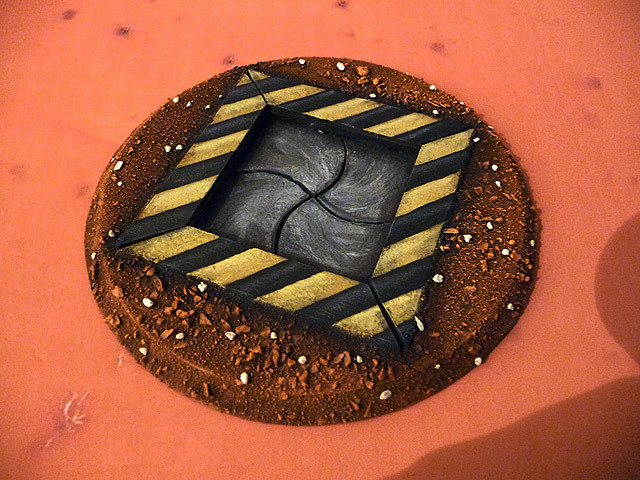 Terrain is everything - Hail the Omnissiah a new STC is found! Techno-archaeologist Avro Vulcan continues his research in the Ferron Proxima badlands. It has been months since he revealed a newly discovered Standard Template Construct (STC) to Tech Adepts at the Adeptus Mechnicus Oversight Cohort on Ferron Proxima. This does not mean he has been unsuccessful in his discoveries, in fact the opposite is true, his very success has been his undoing by malicious data attacks by the group known only as the Free Radical Collective! ﻿The Free Radical Collective have been targetting Avro Vulcan's data banks and releasing his discoveries prior to aproval by AdMech Overseers. 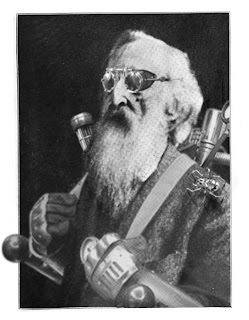 Th people of Ferron Proxima have seen benefits from this, technologically speaking but wanton disregard for testing procedures and the free distribution of advanced technology has caused the Adeptus Mechanicus to bring in a specialised unit of Tech Inquisitors to discover the true identities of the FRC. Meanwhile Avro Vulcan brings us another innocuous, but perhaps revolutionary STC, the Standard Manifold Coupling, aka the Modular Plug Socket. The details of this coupling has been kept secret by Vulcan due to the interest from data-hackers who have sort to gain control of this valuable information to share outside Adeptus Mechanicus control. Once private enterprise can access this information they will utilise it to gain control of all Mercury Plateaus suitable for Plasma Generators, thus reducing their need to pay tithes to the Ad-Mech administration. The Modular Plug Socket is more than just a connector for Plasma Generators, it also functions as an underground storage portal, watch tower base, heavy weapons turret mount and lift shaft. In time these STCs will also be shared with the world. Very cool - I'm going to have to give that a try, really like how it turned out. Thanks for sharing the templates! Thanks for this! It's those small details where your templates are the most important and useful to me! My pleasure, once you've completed something let me know or post something on the STC page. I'm hoping to get some more designs out, probably the simpler they are the more chance I have of doing them... we'll see. It's good to see that the Free Radical Collective have not gotten poor Avro Vulcan hauled off by the Inquisitors. lets hope he keeps up his good work! I'm doing my very best to get to the bottom of who the FRC are wand hat their agenda is but it's taking time. Avro is very keen to get quality STCs out given how the Free Radicals have been able to circumvent his security protocols and reveal his discoveries, without any of the Ad Mech oversight. I'd be really interested to see your efforts and how they fit the Modular Plug Socket. Let me know when they're done.